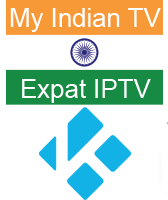 My Indian TV is the most reliable IPTV Kodi Add on for Indian and Pakistani channels for expats. It has many of the popular channels from India and Pakistan as well as the Star sports channels for Indian and Pakistani expats. My Indian TV is a sister site of the popular NTV IPTV service which caters to Scandinavian, British and American expats. This guide will show you how to install the My Indian TV Kodi plugin on your Windows, Mac or Android HTPC. Download the My Indian TV Kodi plugin and transfer it to your HTPC box running Kodi. Uncheck Use Genre For Listings, you can also enable Recording in the recording tab. Now you are all set to enjoy your stable My Indian IPTV streams, add it as a home screen shortcut if you plan to use it daily.